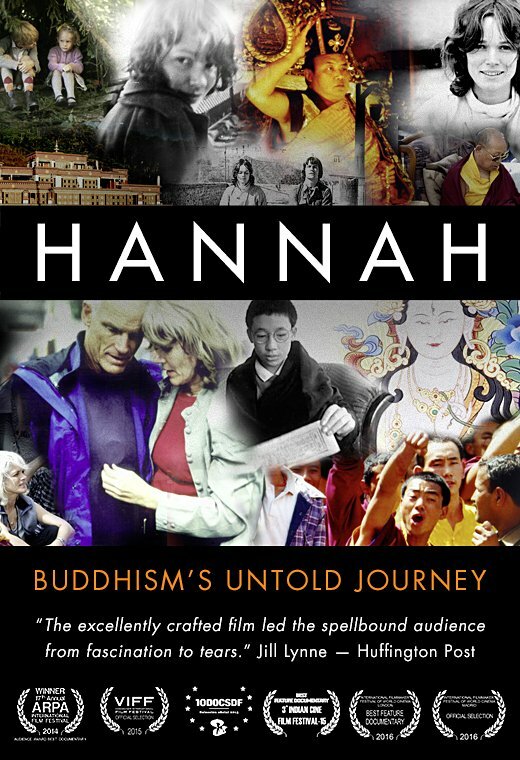 Hannah: Buddhism’s Untold Journey’ tells the story of Hannah Nydahl and her adventure bringing Tibetan Buddhism to the West. From her wild and idealistic roots as a hippy in Copenhagen, the film follows Hannah and her husband Ole to the hedonistic city of Kathmandu, where in 1968 they became two of the first Western students of His Holiness the 16th Karmapa – the first consciously reincarnated lama of Tibet, and the man who would change their lives forever. At the heart of the film lies the unique and inspiring love story of Hannah and Ole and their unwavering dedication to bring Buddhism to the West. From Europe and North America, through the fall of communism in Eastern Europe and Russia, to being kidnapped by guerrillas in South America, the film portrays the path of a great woman at the forefront of a turbulent, ever-changing world. ‘Hannah’ explores how the Buddhist ideal of freedom, in all its forms, is more relevant today than ever and why everything Tibetan should not be considered holy.